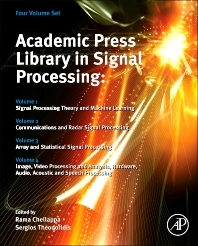 This four volume set, edited and authored by world leading experts, gives a review of the principles, methods and techniques of important and emerging research topics and technologies in machine learning, advanced signal processing theory, communications and radar signal processing, array and statistical signal processing, Image, Video Processing and Analysis, Hardware, Audio, Acoustic and Speech Processing. Volume 4: Image, Video and Biomedical Signal Processing, Hardware, Acoustic, Audio and Speech Processing, Edited by Joel Trussell (NC State University, North Carolina, USA), Anuj Srivastava (Florida State University, USA) Amit K. Roy Chowdhury (University of California, USA), Ankur Srivastava (University of Maryland, USA) and Patrick Naylor (Imperial College, London, UK). 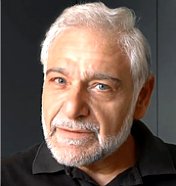 James B. Davis, Auburn University; Philippe Loubaton, Universite de Marne la Vallee; Sergio Barbarossa, University of Rome, Italy; Georgios Giannakis, University of Minnesota, USA; Simon Godsill, Department of Engineering, University of Cambridge, UK; Ali H. Sayed, University of California, USA; William Melvin, Georgia Institute of Technology, USA; Hugh Griffiths, University College London, UK; Stefan V. Baumgartner, Germany; Andrew Carl Singer, College of Engineering, University of Illinois, USA; Fred Harris, San Diego State University, USA; Oscar Au, Hong Kong University of Science and Technolog, Hong Kong, China; James Nagy, Emory Unoversity, USA; Christos Davatzikos, University of Pennsylvania, USA; Al Bovik, The Universtiy of Texas at Austin,Texas, USA; Tsuhan Chen, University of Ithaca, New York, USA; Marylin Wolf, School of ECE, Georgia Institute of Technology, USA; Sven Nordholm, Curtin University, Australia; Visa Koivunen, Aalto University, Finland.